Yesterday we had another of our social outings, this time with posh frocks and hats to the ladies day at Kelso Races. The weather was fabulous and the race course Voted ‘Britain’s Friendliest Racecourse’ in a Sunday Times survey made all the ladies feel very welcome. The ladies who attended said “what a nice change some beautiful weather, lets hope it stays like this for the fishing”. 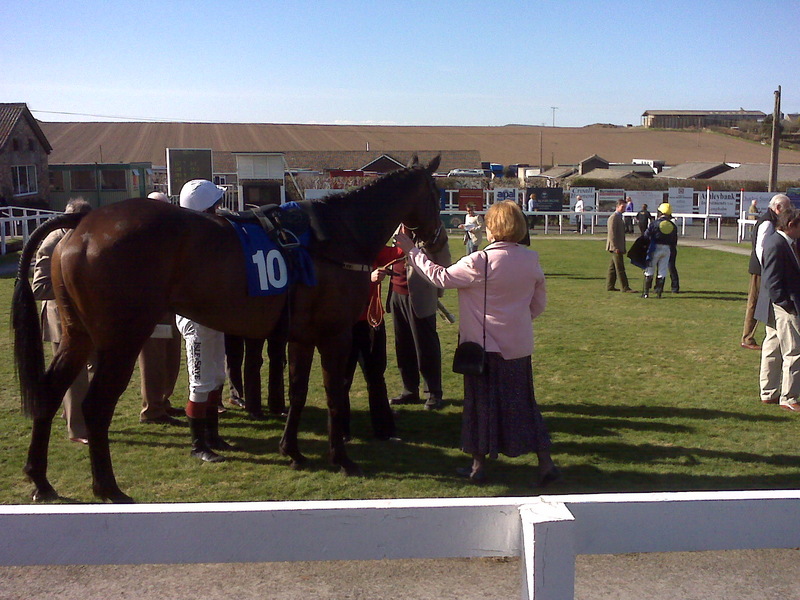 We even had some ladies with winning horses, and one of our ladies had her horse racing too. The next ladies outing is to the Tweed Show on the 1st May we have organised casting demonstrations on the double handed rod from Brett O’Connor and the Chairman of AAPGAI Illtyd Griffiths is going to give a demonstration on the single handed rod and a talk on how he landed a 24lb sea trout in Argentina on a single handed rod. Paul Little one of our coaches is a guest tier at the show and is hoping you will join him to tie a fly or two.